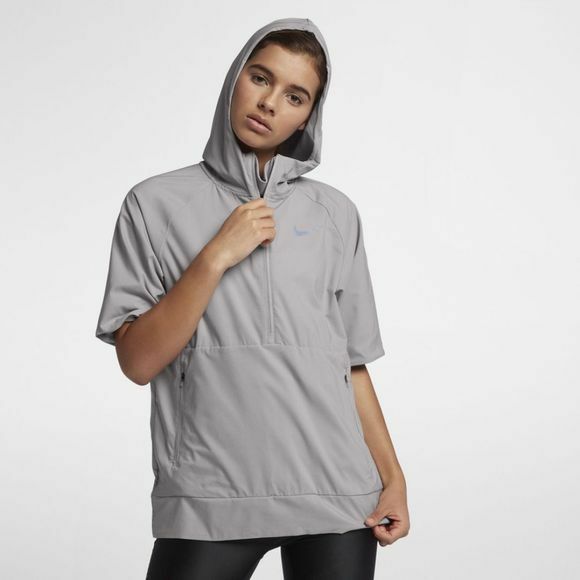 Women's Nike Flex Running Jacket has you covered—its short-sleeve design boasts a water-repellent finish that provides convenient layering for wet-weather runs. When removed, it packs into its own pocket so it can be carried easily. 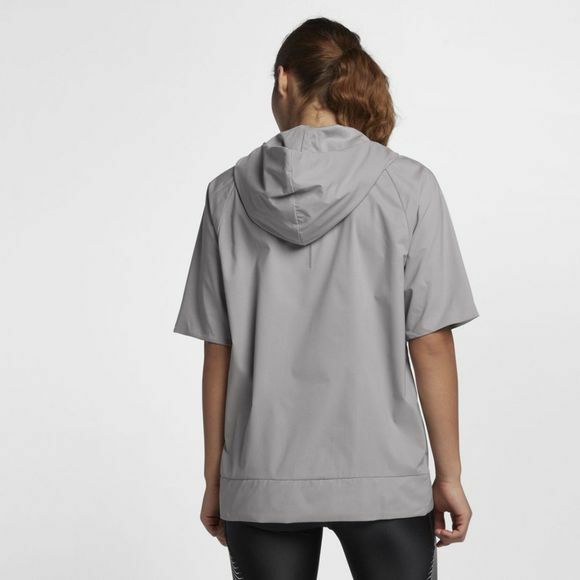 Water-repellent finish helps keep you dry in light rain. Packable design for convenient storage when removed. Dri-FIT technology throughout the garment wicks sweat away from your body to help keep you dry and comfortable. 2-panel hood provides coverage without impeding your field of vision. 1/2-zip design for adjustable ventilation and coverage. When unzipped, an internal gusset is revealed.